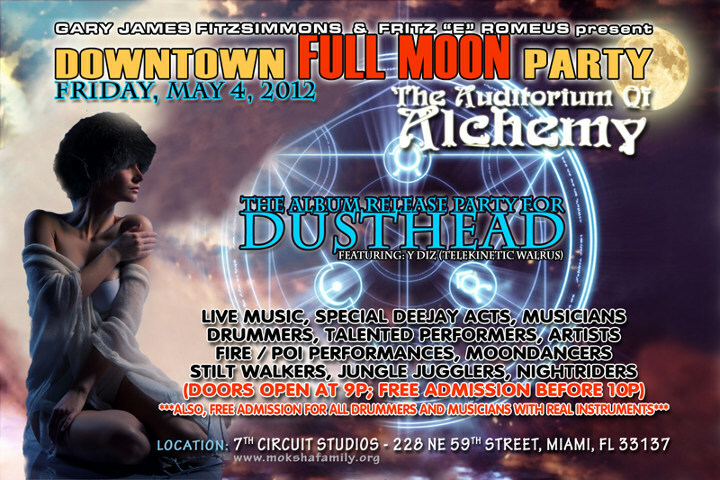 This month, the “downtown FULL MOON party” welcomes back by popular demand: DUSTHEAD for their Album Release Party entitled THE AUDITORIUM OF ALCHEMY; bringing sounds of the future and visions from the past to create a performance spiritually and mentally stimulating. This new album contains something different in every song,exploring emotions,deeper senses,and melodies from another dimension. (Free Admission is at the discretion of the Door Staff; meaning that you must bring a real instrument to play it, or be a real performer. Please do not try to abuse this courtesy and ruin it for everyone else.). Long Extended Drumming set will be from 10p – 12a and from 1a till close… The entire outdoor area will be reserved for Drumming Only, with the exception of a one (1) hour Live Deejay Set from 12am – 1am. 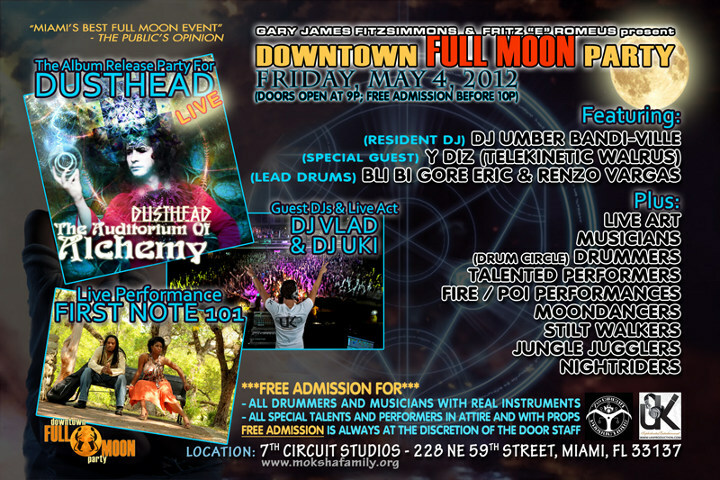 BRING YOUR DRUM AND LET YOUR BEATS BE HEARD!!! ARTISTIC, OUTRAGEOUS, and CREATIVE… DARE TO THE “YOU INSIDE”!! !